With the assistance of LIRNEasia, we carried out a comprehensive evaluation of Nepal's Emergency Communication; August 2015 - April 2016. The report was presented at INET-Kathmandu. The key message that I delivered was that for any Information Technology to triumph during crises and emergencies (shown by the green pinnacle in image to the left), a sturdy foundation of ICT resilience is compulsory. 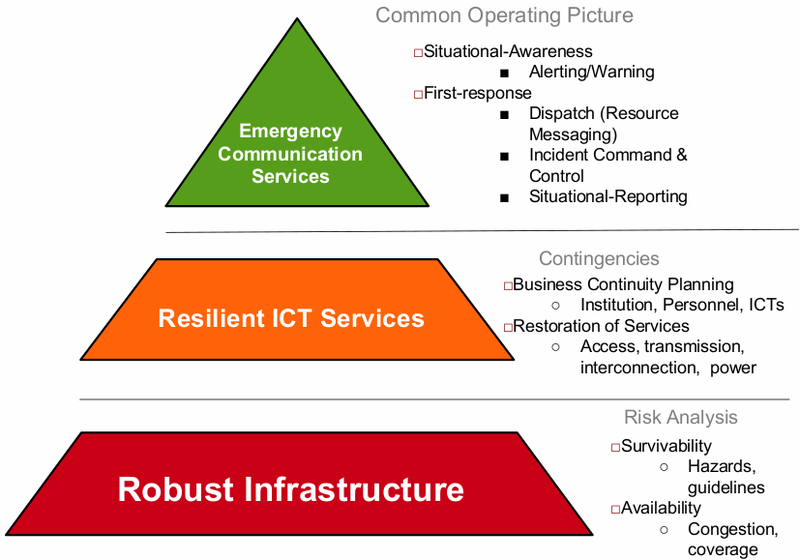 Robust infrastructure is the shouldering basis for ICT resilience. Thus, roads for engineers to travel to fix ill-fated BTS and Transmissions and electricity to power the telecommunications are essential elements for keeping the ICTs alive. 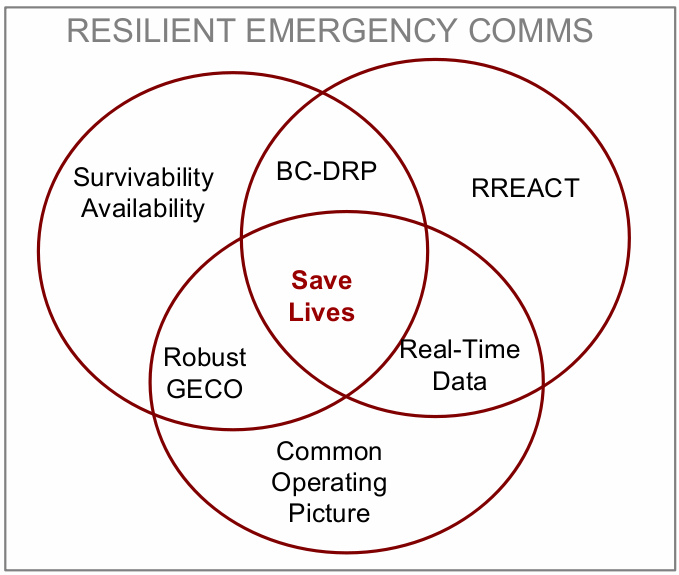 The venn diagram, to the right, illustrates the elements contributing to “Resilient Emergency Communication”. Robustness requires ensuring survivabilty and availability of the telecoms; especially a Government Emergency Communications (GECO). 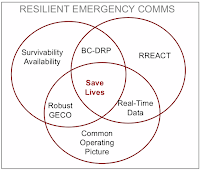 The GECO weaknesses are complemented by a Rapid Restoration of Access to Telecommunications (RREACT) program. The two complementing elements contribute to an effective Business Continuity and Disaster Recovery Plan (BC-DRP).